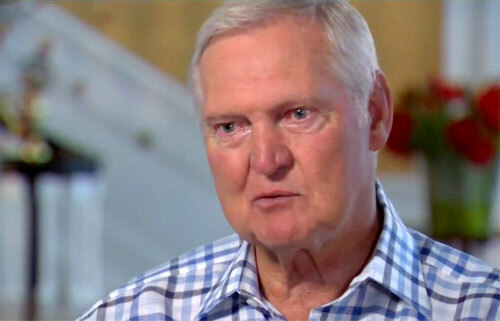 GARDEN CITY, N.Y. — Former Los Angeles Lakers star, Jerry West, is scheduled to appear on Saturday June 18, 2016 to meet and greet fans where he will sign autographs and memorabilia at The “Perfect Show” autograph signing event. Jerry West will be there from 10:00 a.m. to 5:00 p.m. The event will take place at Adelphi University, 1 South Ave., Garden City, NY 11530. Hall of Fame guard Jerry West played his entire career with the Los Angeles Lakers from 1960-74. He was a 14-time All-Star and won a title in 1972. His nicknames include “Mr. Clutch”, for his ability to make a big play in a clutch situation, such as his famous buzzer-beating 60-foot shot that tied Game 3 of the 1970 NBA Finals against the New York Knicks. Sports Speakers 360 is a booking agent for pro athletes. If you would like to book Jerry West for a speaking engagement, appearance or endorsement, contact a Jerry West booking agent for fees at 1.855.303.5450.